The final piece of our state-of-the-art facility has been tested and works like a charm. 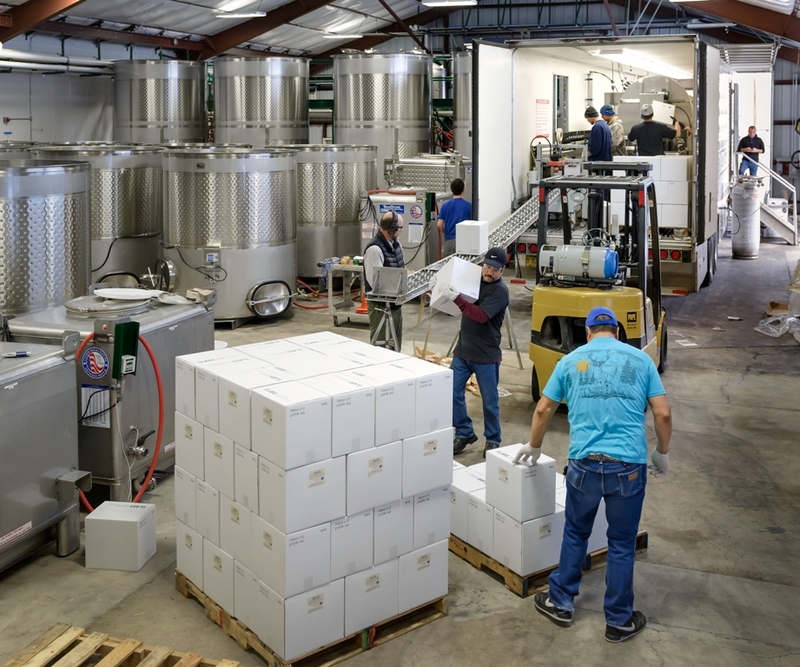 To be fair it isn’t actually our equipment, but we did design the facility specifically so a full mobile bottling trailer could just back in, connect up and bottle anything we had for it. 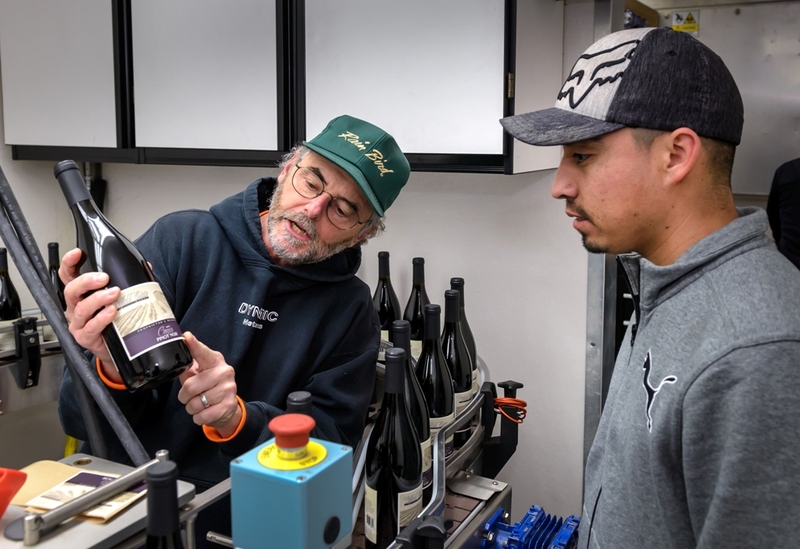 We tested this out last week with a trailer from Signature Bottling Services and bottled more than 1200 cases, without any major glitches. The trailer itself is an amazing piece of technology, and very cool to watch in action. 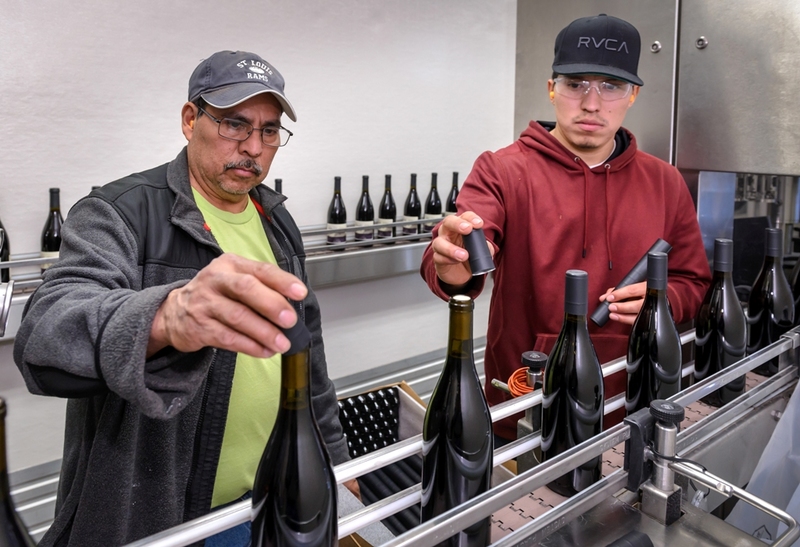 It fits the entire bottling process into a semi trailer, with hardly any extra setup needed, and the whole process only needs a few extra hands on deck to help with a couple stages and the rest is mechanized. 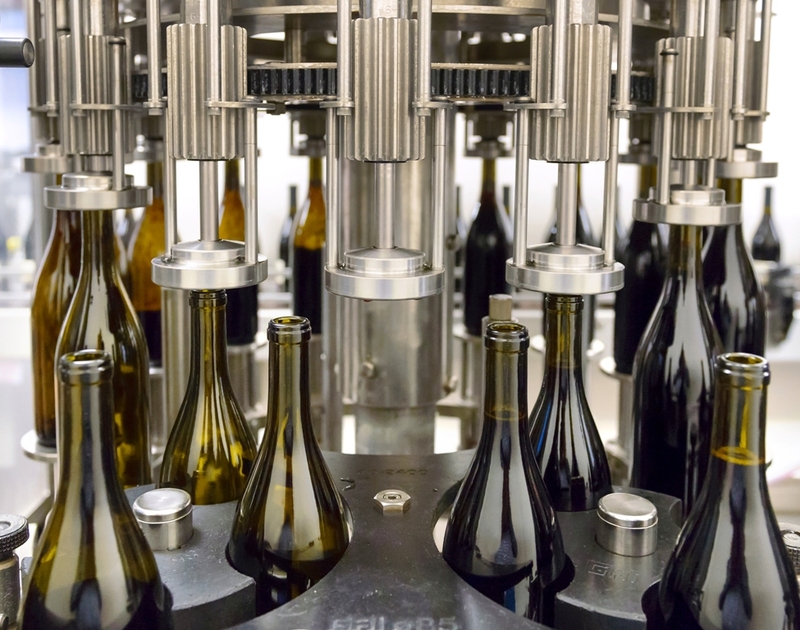 The bottles are spun around and filled with an inert gas before heading into the filling machine. 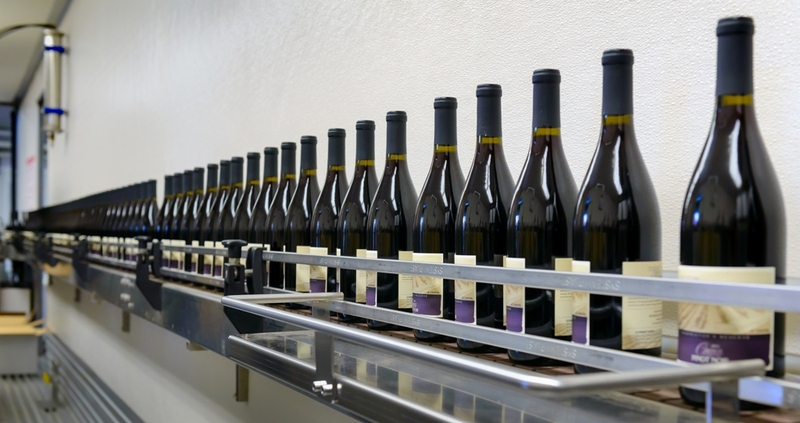 This machine is connected directly to the barrel or tank where the wine is being held and minimizes the time the wine is exposed to the air. 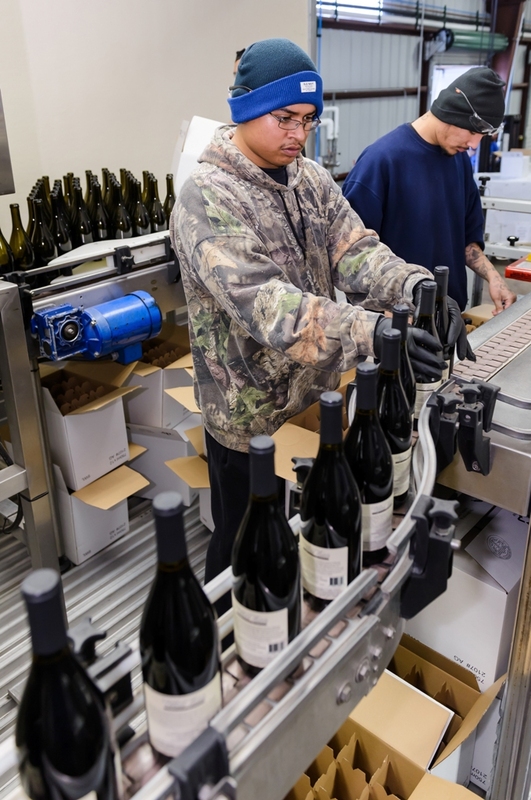 The bottles are immediately corked or have a screw cap put on, depending on what the customer wants. All hands on deck to place the foil over the corks. 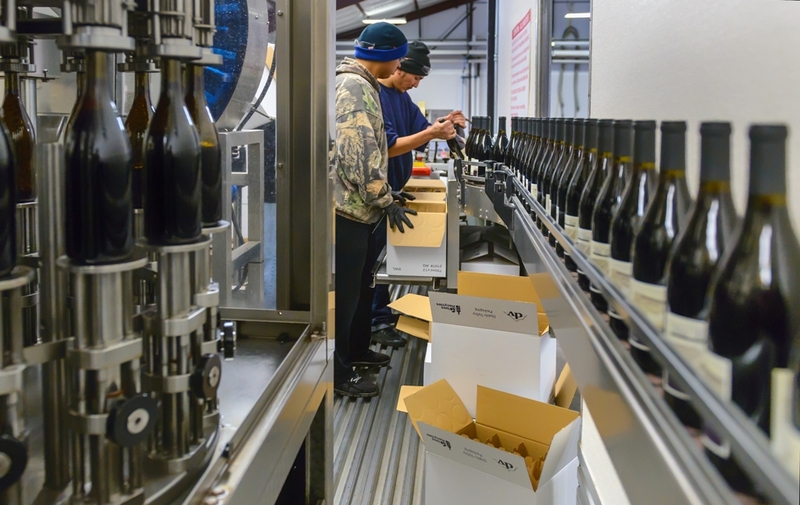 After the foil caps are pressed down the bottles head to the label machine. This stage took the most tweaking to make sure the label was in the perfect position on the bottle. Our Project Manager Kyle White (L) was on hand to make sure everything went smoothly. Here he is making sure the labels have no bubbles or creases. 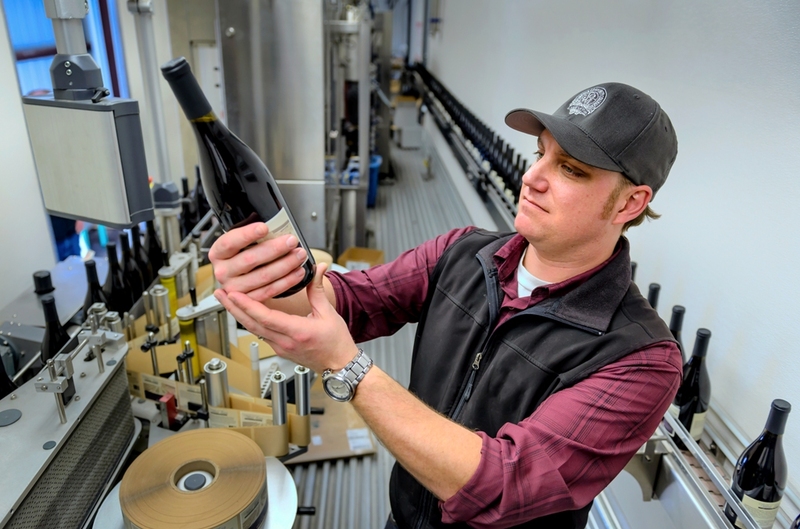 Our Winemaker Chris Graves inspecting the bottles to make sure everything is perfect for our customer. Finished bottles heading back to be placed in the case for shipping. One of the few places where we needed to have crew members. They took the bottles off the line and placed them in cases. They had to be very fast at this because we were bottling at a rate of 60 bottles a minute! It takes concentration to make sure nothing goes wrong. 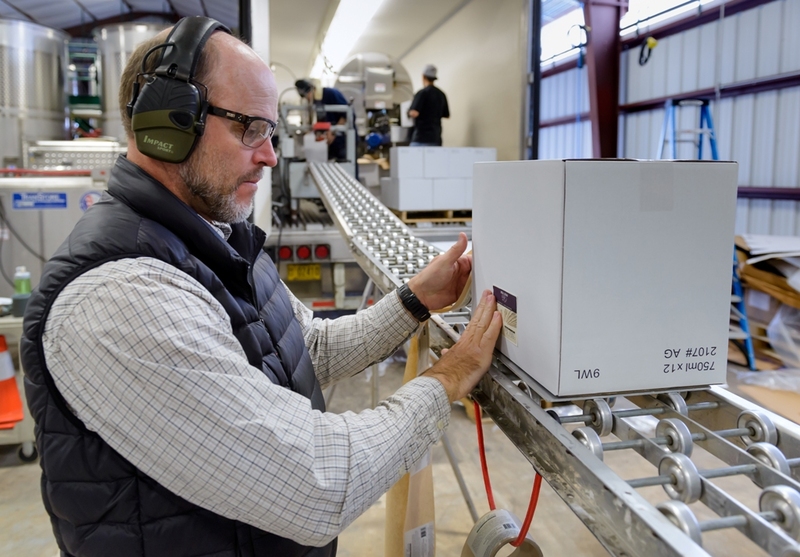 Experienced Cellar Hand Steve Eadie putting the finishing touches on the case. You can see the whole process was taken into account when designing the facility, to ensure the most efficient work area. This is absolutely amazing! What a fantastic service to provide for the fastest growing agricultural segment in Southern Oregon. Fantastic marketing foresight.